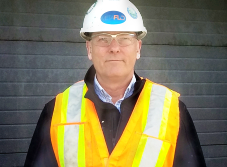 If you have been following the media recently on the subject of waste soil disposal in Ontario, you will have heard that many ‘clean fill’ dump sites are contaminated with poly-aromatic hydrocarbons, heavy metals and petroleum hydrocarbons. The subject has received comment from Ontario’s Minister of the Environment and Climate Change, Glen Murray, describing the problem as a “serious issue” at the “top of environmental and economic concerns” in Ontario. 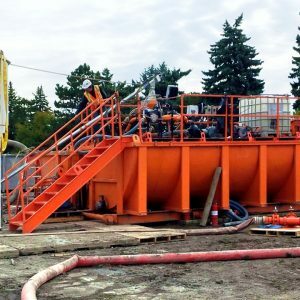 Waste drill fluids generated from Horizontal Directional Drilling (HDD) or oil and gas exploration drilling are rarely given adequate consideration around drilling projects and are often just considered to be a necessary evil. 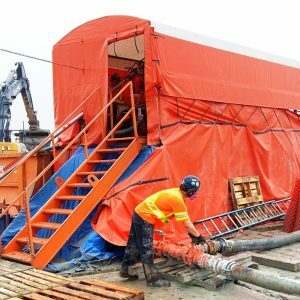 Pound for pound, drill fluid disposal presents more cause for concern than the contaminated soils referenced by Minister Murray. These fluids are often treated like soil, despite their liquid state and their status as liquid waste under environmental statutes and regulations in many North American jurisdictions. Unlike soil, drill fluids have the ability to flow into natural watercourses and are engineered to optimize fluid viscosity resulting in high turbidity and sediment build up in water ways. It’s this turbidity and contamination that puts Ontario’s aquatic life and drinking water at risk. What can generators of these liquid drilling wastes do to mitigate these ill-effects? They can move the diversion and treatment of the waste “upstream” so that fluids generated don’t release into water tables and water courses. It costs less to dispose of waste that is reduced upstream and would-be waste materials can also be reused. 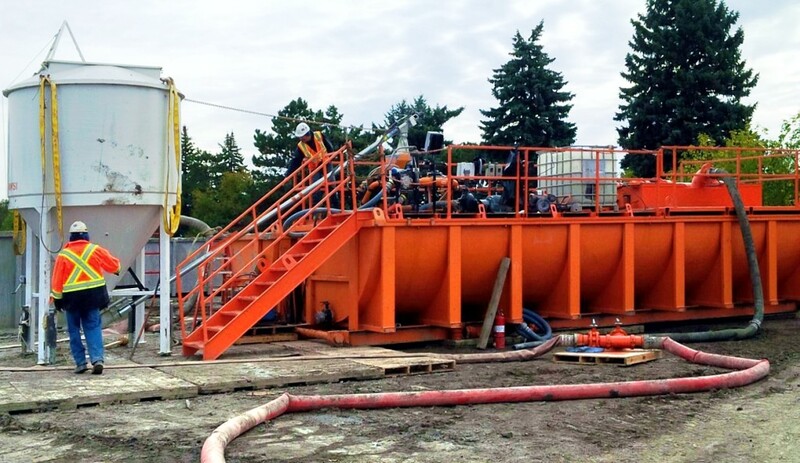 By solidifying drilling fluids at the job site, before they’re loaded into a truck for disposal, the generator has a lower cost transport option (dump truck vs. vacuum truck), a lower cost licensed disposal option (solids vs. liquids) and no risk of fines or remediation for non-compliance. It’s time to change our way of thinking. 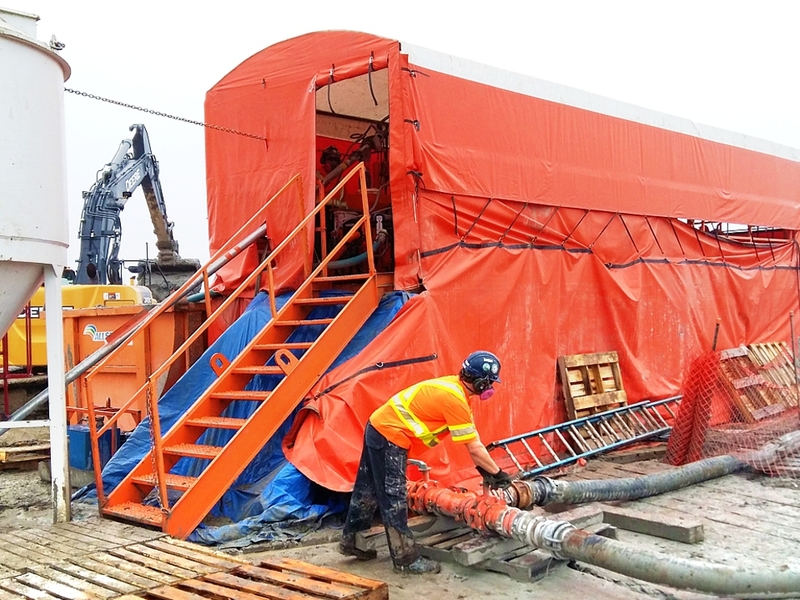 MetaFLO can help you to eliminate the cost and risk of drill fluid disposal. Local service providers are near you. Call or contact us today!